Ohrstrom Blog » Blog Archive » A year of Research. You rocked it! A year of Research. You rocked it! You rocked the research this year! 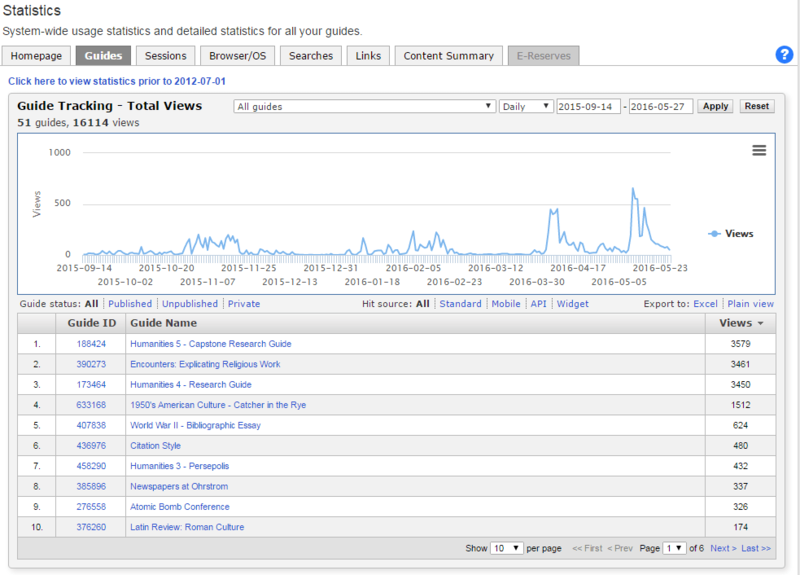 Over 10,000 visits were made to the top 3 research guides. Libguides Admin Dashboard: Statistics Page 9-14-2105 to 5-27-2016. Springshare. Web. May 27, 2016. What library eCollections did you love? Over 887 statistical charts retrieved using Statista. Opened eBooks on the ebrary platform 6,835 times. Collectively, you asked me more than 200 research questions, mostly via email (over 150), and also via Canvas, office hours in the Schoolhouse and in-person at the Library. And finally, another year has gone by in which every SPS student has had a Ms. Sanborn research class (at least one!) during the school year. Smiley heart face symbol. Digital Image. Encyclopædia Britannica ImageQuest. Web. 25 May 2016.